The Ministry of Commerce announced on Tuesday that the food company discussed with the delegation of the Iranian embassy and the Iranian company GTC open new cooperation horizons and resolve the previous items. The ministry said in a statement, "Economy News" a copy of it, "The company and within its plans and programs to return to its main activity seeks to activate trade with companies specialized in food to contract with them." 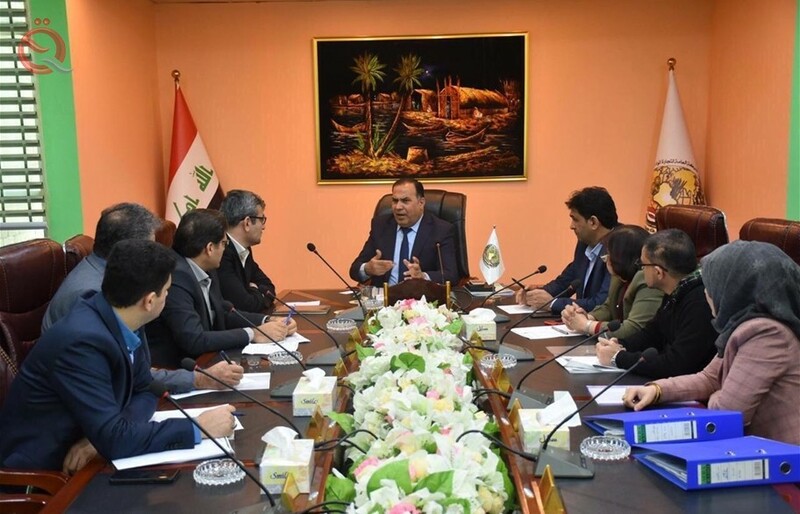 In the context of supporting the local product, the ministry explained that "a delegation of the company headed by the assistant director general of the company and representatives of the quality control, control, audit and import visited the plant Ali Al-Hadi (p) for general vegetable oils to the Ministry of Industry and Minerals in order to achieve joint cooperation to the possibility of processing the Ministry of oil that distributes Within the ration card vocabulary. "